In contrast to desktop printing by computer, students learn first-hand the traditions and history of the book through letterpress printing and hand bookbinding courses, a History of the Book course, an introduction to calligraphy course, and special topics courses such as Digital Design and the Artist Book, Boxmaking, Inspiration and the Medieval Binding, and the Printed Book. The Center also serves the campus and community with a variety of lectures, workshops, and symposia, and an annual Summer Institute. Begun in 2005, the Institute’s week-long intensive courses in letterpress printing, hand bookbinding, artist’s books, letterings arts and font design are taught by some of the foremost book artists in the U.S. and Europe. The Book Arts Center currently houses seven Vandercook presses, two Pilot presses, Victor Hammer’s Washington-style hand press and over 300 cases of type and ornaments. The Center is also the proud home of a large collection of 19th century type and ornaments donated in 2001 by the widow of Robert Greenlee of the Gay 90s Press, has an extensive collection of 19th and early 20th century wood type, and recently received a large collection of cuts, type and equipment from the Oliphant Press in New York City. 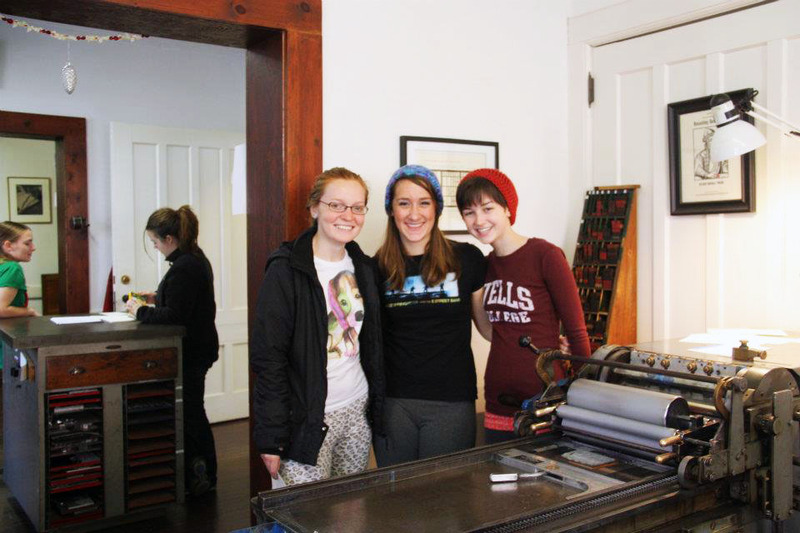 The Wells College Press publishes books and broadsides by visiting writers. 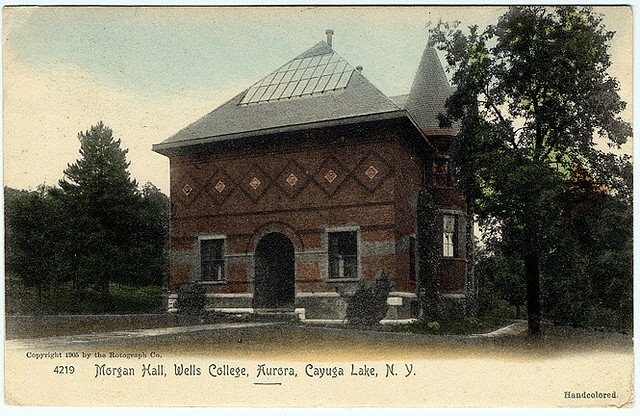 The Book Arts Center prints, among other things, certificates and awards, announcements for campus events, and most important of all, the Wells diploma.